The station, named Ubuntu Radio, will be accessible on the Internet, at www.ubunturadio.com, and is the first of its kind on the African continent. 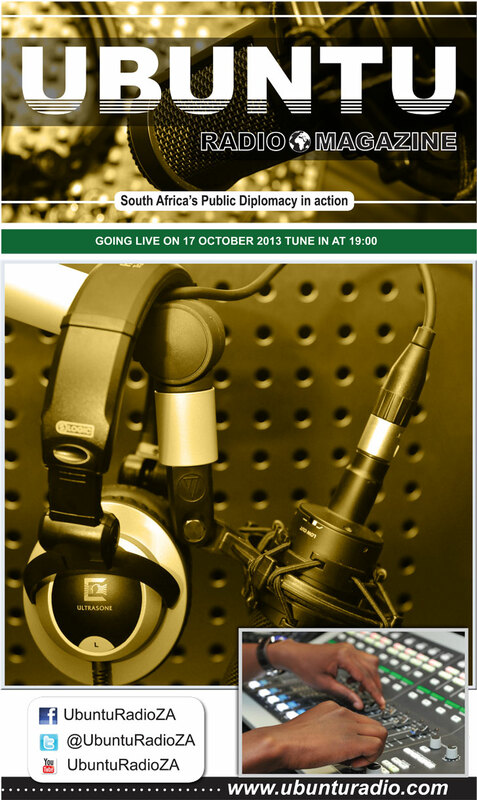 The Department of International Relations and Cooperation (DIRCO) will launch an online, 24-hour radio station today, 17 October, aimed at enhancing communication on South Africa’s foreign policy. Recognising that Internet connectivity in South Africa and the African continent requires greater penetration, the station will exchange content for broadcast with identified media partners, including the SABC’s Channel Africa and community radio stations, for greater reach and influence. The objective of Ubuntu Radio is to create a platform for exchange of views and opinions by various stakeholders. These would include opinion-makers, think-tanks, academics, scholars, students, diplomats and other key players in the field of diplomacy and international relations. By design, the targeted listenership is not limited to South African citizens, but includes the international community. Through this station, DIRCO seeks to raise public awareness, and stimulate public discourse on South Africa’s foreign policy. In choosing an Internet-based radio station over a mainstream radio station, the department was inspired by the results of extensive research conducted on the effectiveness, influence and listenership of Internet-based radio stations throughout the world. Research indicates that Internet-based radio has gained momentum over the past 10 years, and its benefits are visible. As an online station, Ubuntu Radio would be able to reach many parts of the world. For those without access, South African Missions abroad will complement this through their regular outreach programmes. As a multimedia platform, Ubuntu is immediate, and will run live broadcasts of major DIRCO events, announcements and campaigns. Furthermore, this station will be a major source of reliable, recent and trusted news on South Africa’s foreign policy. The uniqueness of the station lies in the state-of-the-art technology used in the creation of its website. It has an active web link to DIRCO’s official website, which extends access to social networks such as Facebook and Twitter. Access to DIRCO’s website will allow users to browse through the department’s two official publications: the Diplomat and Ubuntu magazines. These options, which are all available on the Ubuntu Radio website, will allow users and listeners easy access to important information about ongoing work of the department in promoting South Africa’s foreign policy.